4 Bedroom, 2 Bath home in the Sun View Terrace neighborhood featuring 1,558 sq. ft. of living space with a two car garage. 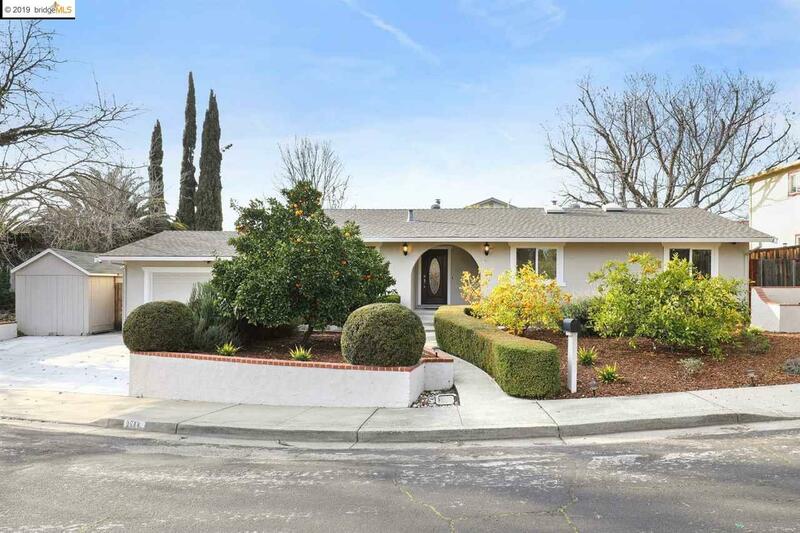 This home has an excellent location on a quiet court along with being walking distance to the North Concord Bart station. The home has been recently remodeled including bamboo hardwood floors, granite counter tops throughout the kitchen and bathrooms, newly installed kitchen cabinets, clean carpet, both bathrooms fully remodeled and much more! The property features ample amounts of fruit trees including oranges, mandarins, lemons, limes, and apricots. Also including a serene backyard with a large overhang patio seating area, a detached storage shed, crushed granite side yard, lawn, and much more! A must see!